Have missed you and not sorry that I purchased a CU license. I have never sold my items and only make them for color challenges. Love all the stuff you gave out through the years and understand priorities. Have a wonderful life and don't worry about negative comments from anyone. I am SO sorry that some people are just, plain, old RUDE! I love your stuff. I have been sad that you've been gone, but I completely understand "life". It just hit us FULL FORCE in the last two months! I've used many of your freebies over the years and have enjoyed every one. And perhaps I just never paid attention before so I never realized that you were actually a peace officer. GOD BLESS YOU! Thank you for what you do. Thank you for your service and sacrifice! I sincerely hope this is not your "last post". I hope that you come back to us when you're able to retire so we can play some more! Like makeyesup said, don't worry about negative comments from anyone. They are not worth your time. After all you have given to the scrapping community I cannot believe that anyone would come here and have something negative to say. It makes you sad - really sad. All the best with your Etsy shop and your other endeavors. I for one hope that you have great success. And I thank you for all of the wonderful things in my stash of goodies with your label on it. God bless. I know you are missed, but always appreciated by many! It's so easy to forget to say thanks. It's so easy to take people for granted. People can be mean, but remember all the good you've done for people too! You'll always be my "digibuddy!" I can't believe how petty some people are in this industry. I don't think they give a flying fig newton for the fact that most all of us in this creative circle have lives that must go on. I love your blog. I am not a kit designer but I do have most of your stuff because I like to play with putting my group of elements together. I want to thank you for all the free things and for keeping it up even though you certainly are under no obligation to anyone. Have a wonderful life and maybe some day you can be back. Bless you and be safe out on the streets as an Officer. That is such a bummer !!! I wouldn't mind if they had the guts enough to use their actual name !! Hi Deb, I too, miss you. As the saying goes, "you can't please all the people all the time". But it only takes one sour puss to ruin it for you. I really have a problem with posting anonymously, same as I do with people saying mean stuff in an email instead of face to face. It sure is easy to hide behind a computer screen! I have loved all of your stuff, especially the styles. You had to have spent HOURS on the freebies that you gave away. I would always get giddy when something new was posted! I don't even know how you could keep dreaming up new stuff to do. Know that 99.9% of your fans enjoyed what you did and try not to let one negative person get to you...so not worth it! Keep doing what you enjoy! Anonymous seems to be synonymous with RUDE these days!! Thanks for all your hard work. I am also a holder of your CU license and have used many of your designs in my kits. I have been more than pleased with what I got for it and can't believe you work so hard on these items for FREE! You are wonderful and I look forward to anything new you ever want to add, but also wish you well with all your other ventures that make you happy and of course having a life and all that. <3 Thank you Thank you a hundred times! I loved all your work, and there are so many on your blog. Thank you for all you did and shared with us. I remember, it was before you created your CU license, i sent you little money by Paypal as I do sometimes for designers who are a Paypal button, and you was the only one who sent me a thank you for that. Just for that thanks to you. I have appreciated all of the freebies you have created and posted on this blog. I am one who purchased a license and I don't feel I wasted my money at all. I am happy I paid a little bit back for what you gave away freely. Thanks so much!!! I am glad you are able to create and successfully market your jewelry. That's great! You are so creative, and that's a wonderful creative and hopefully profitable activity. I miss you too but use your designs all the time. I'm also glad to have a license from you and enjoy all the goodies I have. Good luck in your new endeavors. I will keep checking in just in case. Hee! Hee! Thanks for everything. I have enjoyed your designs for a LONG time and am not sorry that I purchased a CU license. I used your designs to make contributions to the RAKScraps megakit for years. RAKScraps is gone and I don't design much these days but I appreciate your effort in making so many designs. Hope to catch up with you again when you retire. Please don't close down the blog. I would like to purchase a CU license, and hopefully this will offset the $20 that you are refunding anonymous. I will email you with my info and paypal info. Thanks for taking the time to make these incredible free items. I am a teacher and I know how hard it is to juggle a full-time service career with designing. You are appreciated! Sorry to hear you are closing. Life is that way - something comes and something goes. You suddenly find oterher things that is more important. I hop you give us litte time to look in blog and download. I' ll start now and look around. I'm hoping you'll change your mind and keep your blog open. You have so many wonderful things and as I'm not a creator I haven't purchased your liscence, but always thought I would someday, when I actually have time to finish lesssons. Everytime I think I may have xtra time well something happens. Just as it has for you. I visit once a week just in case you pop in. Thanks for all the excellent freebies! I just want to say Thank you a thousand times for all the Free things you gave so generously that I sometimes missed saying Thank you and I am so sorry. I know sometimes I did and sometimes I missed but really have enjoyed all of it and still do. I know you have not posted for a while and really miss you because I too always got so excited to see you have added something. I continue to check back and have been hoping you would post again just to let us know you were ok. I did see your store on etsy so I figured you had just moved on and I am so glad that it is doing so well. I am so sorry for that comment from anonymous person and hope you realize there are so many of us that appreciate all you have given from your hard work and your heart and are so thankful that you shared with us. God Bless You and Yours and I do hope too that you someday come back and feel like sharing again because you are so talented. Thank you also for being a Real Cop as well as the Scrappin Cop. You make a good job, you make the good choice and those who are not happy may have to go on CU store and compare the prices !! !Thanks for everything ! So sorry you had to deal with this negativity. Life changes all the time. Good luck on your Etsy adventure and all of lives adventure. Mean people "stink", everyone wants free now. Did they even bother to look at all the things that are on your blog. OMG, way more than $20 worth and worth more than that to a true scrapper/crafter. Thank you so much for keeping the blog and for allowing us to benefit from your creativity. Big hugs. I have not been here for ages but am shocked at the comments you got from that person. rather like a coward to keep him/herself anonymous. Luckily we know better ; you are a very generous person always sharing without demanding compensation. Wishing you lots of luck in your venture at Etsy and make sure you make some me time as well. You are missed but your absence is completely understandable! I bought a license years ago and have never regretted it and happily use your multitude of goodies whenever I need them. Best of luck with your lovely jewelry and your family and your job and your real life!! And thanks for keeping the blog up so we can go back and grab what we may have missed. Greatly appreciated. Even if you never added another thing, the value I find in your huge assortment is more than enough. It will keep me busy for a long time...Good luck! Please understand that as a paying customer it becomes frustrating when you pay for let's say 10 licences, and 9 out of the 10 designers stop designing. Some designers don't have the integrity you do and quit after several months. I at least had the guts to put my name to any comments I sent you. "Anonymous" can go BLOW!!!! Pleeeeeaaaase don't close down your blog. What you have on here is more than worth it. In addition to the fact that your stuff is high quality and so creative. We really do miss you and I for one am so very grateful for all you have posted. Sometimes I post anonymous if it requires me to set up an account but I try to remember to leave my name within the post. It is easy to hide behind who you really are on the internet. I too, miss your activity on the blog but people grow and interest grow to. One comment can irk at you but dismiss it and keep in mind the positive ones. I haven't ever regretted purchasing my CU license! It would take me forever to download everything you already have on here! I'd be sad if you took the blog down entirely, though. I don't have the space to store everything, so while I have a lot of it downloaded, I am still regularly coming back to grab something else! I'm sorry someone had to be so nasty. I thought it was pretty clear we were paying for what you already had available, not some undefined future product... I designed all of my own items from scratch for a long time before I started using CU, so I appreciate the work that goes into it. Maybe anonymous needs to give that a try! I miss the daily visits to see what you had come up with. The Collection of you CU items in my EHD is the go to spot to find something to play with. I want to thank you for all the great things you have made over the years, I have been following you a long time. I bought your license around a year ago and think it was and still is a great value. I just wanted to send you a sincere thank you for all the hard work you put into making your digi designs and for continuing to keep up your site so those of us that are "new" to the digi world can still get your awesome creations. I also wanted to say that in reading your "Last Post" I can sympathize with you. I had a brick and mortar store once and months after I closed people would send me rude emails because they couldn't use gift certificates any longer. Some people are just tools and there's nothing you can do about that. Good luck in future endeavors and again thank you! I love all your stuff! I too come back and see things that I missed on your blog. There's so much here that a person can really get a lot for the money they spend on your license. I'm sorry to hear this person being mean and nasty to such a giving person. Thank you for all your freebies! and that you look to go well. I posted today a collage with some pieces from you used in it, so, I put a link to your blog under it, and it's why I'm passing by. You maybe will be visited...? Best regards and wishes for you and yours sweet heart! Ah, Deb. So sorry that you had to deal with such rude and disgruntled people. Your blog was instrumental in helping me to learn how to design and what a quality digital item looked like. The $20 I paid a couple of years ago was well worth it. I'm so glad to hear that your jewelry-making venture is (literally) paying off. Best of luck to you! I love your offerings and thank you for all your hard work. As I venture into designing I'm hoping to make/save enough to be able to buy your CU license (BEFORE ) you close your blog, so don't leave us yet!! Live life and Do You!! We'll be here when you get back HUGS! You tell, 'em, sister! I, for one of MANY, have appreciated downloading your freebies and felt I'd found a gold mine. So thank you for your generosity and creativity. Best of luck with your Etsy store. I've missed you. and please know that you ARE appreciated.. I have LOVED using your designs over the years.. I still scrap weekly and most times I'm pulling one of your files in to use.. Thanks for all your hard work.. continued success to you.. It seems to be that the ones who always complain and find fault with what others do are the ones that don't have enough where with all or gonads (or maybe it is sense)to so the same thing themselves. You have accomplished more than they ever will. Stand tall and be proud. I am so sorry this has happened to you. On the flip side I am very happy about your etsy shop doing well. You were gracious to allow us to download your items for FREE and anyone who takes issues with you having a life other than in front of the computer simply must not have one or they would understand! I wish you great success in your jewelry and will have to look you up on Etsy! So sorry about the negative experience. I have appreciated your work over the last few years. Congratulations on the jewelry shop! Thank you so much for not deleting your blog! I just love everything you have posted here. Some people just want their whole life for free i think or cheap as possible anyway, my mum was a big believer in you get what you pay for, in other words if you want up to date and always fresh you just have to fork out. i hate rude comments that are anonymous. To that commenter, your words are worthless if your name is not with them. You obviously knew your attack was wrong or you would not have hidden. I never realised you were so busy Irene, i love your work and i have onyu just got confident enough to start showing my work off. You dont need to go down to that commenters level, you are an artist and a decent person unlike them, you might be very busy and can no longer post to the blog but they will always be nasty. They wont change this. You hold your head high. But I do understand you have other things on your mind now. Hope you are doing well, and thanks for all the lovely things I downloaded already and some I used with my License. I purchased your license and have no regrets about it. You have provided me with so much to create my kits, either for FTU or PTU. And I thank you for that. It is a sad state when people complain about receiving free things but even sadder when they post under Anonymous. It speaks volumes about their character, both online and most definitely offline. Thank you for all you have contributed. Please be safe out there. Thank you for all you do. It's so sad that some people have nothing better to do than be mean!!! Like you, I don't design or scrap much anymore but I have never regretted buying your license and still have everything I have downloaded over the years backed up on my EHDs so I have them for those times when I do want to scrap a layout or design something special for the family layouts. I have always loved and appreciated all of your time and talent that you shared with us and always will!! I've been around long enough now to realize that everyone burns out or moves on to other creative endeavors sooner or later. I still proudly display my license on my blog, which I haven't posted to in ages either, but still keep it just in case I ever want to come out of retirement. I wish you great success with your Etsy store, I have been there and your jewelry is wonderful!! 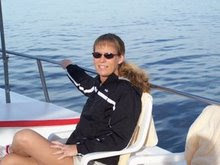 God Bless you and your family Deb!!! I am so sorry that this individual felt that they needed to behave in such a manner. Perhaps they weren't hugged enough as a child or they have some inexplicable psychological disorder. Who knows. I won't address them or their complaints as I suspect it will only provide them with the attention that evidently lacks from their life. I have a license, I love your items and am grateful for you continuing to host the site. I recognize that continuing to host it isn't free and the $20 I paid for my license 3 (4?) years ago has long ago been used to cover expenses. Should you ever decide to close down, it will be a sad day, but as you have said, you have moved on. Your creativity has evolved to other things. I thank you for sharing this part of your creative evolution and wish you well in the future. You will be greatly missed! I thank you from the bottom of my heart for all of the wonderful things you have shared! You and your designs were a miracle for me! Though I was still in almost unbearable pain, learning how to use your templates and other goodies helped to take my mind away from it. You were truly an angel sent to me, and countless others you have touched through your scrapping! I hope that you do find time to come back in the future. I will continue to visit your site, and I thank you once again. Thank you for all your freebies over the years. They have been wonderful Terrible that some people are so nasty about stuff. You are great and you need your time now. Take care. Thank you for all the wonderful freebies! I have most everything and hopefully I'll be able to get the rest. I purchased a CU license even though all my stuff is free. But, really, what a great deal - $20 for all your freebies! You know what they say about one bad apple. LOL Thank you again and best of luck with your new endeavor. I personally love that you took your time to share with us all. I have downloaded and used many of your shares, I also purchased the licence. I'm not sorry I did so! I know to well that life gets busy and it's hard to keep up with things like this. I took 3-4 years off myself I just came back to find out you were gone. I will truly miss seeing your posts and I wish you all the best! Hope one day you will return, until then I will still come visit and download things while I can. I have loved your blog! Thank you for all you've done. I was bummed when blogger notified me that the image to think was gone. Your hard (TEDIOUS!!) work helped me in my digisrcap ventures. Thank you! I for one am very thankful for the many freebies you have provided and am not sorry in the least that I purchased a license. I never actually make items for sale but its nice to know I could if the day comes that I decide to do so. Thank you for keeping the website! I have recently started doing digital scraps and design stuff and the many sites like yours are the ones that us "newbies" need. People are crazy but who cares. I think the majority of us appreciate your work and that you have given it away freely. I don't think you should ever delete the site (unless you have to pay for it) you never know when you might want to come back to it, plus I know a lot of people can use it!! I found your site because I needed photoshop bracket shapes and yours is one of the only I could find in the type that I want. Thanks again!! Thank you for all the great freebies you have made and share with us freely. I appreciate your work as I know that a lot of work is going into making these. On my own blog I had to change settings for comments as Blogger has sent me emails on a daily basis full of crappy comments with bad website links. People can still download but can't comment this way. I found your blog last year and downloaded your felt styles. Recently I've been thinking of coming back and purchasing your CU license and grabbing more of your goodies. I don't have much in the way of surplus cash but given the number of resources you offer, how could anyone out there not think that $20 to allow them to use them commercially is worth it? Even knowing that you aren't going to offer any new ones, as soon as I can find the extra cash, I'll be back. Thank you so much for the endless hours that you have put into making these resources. Know that they are sincerely appreciated by many of us! Best wishes with your Etsy store and hopefully we'll see you around again once you retire! Just wanted to post a THANK YOU. You were a pivotal person who helped me on the road to becoming a digital designer. I'm so excited that you've found yet another creative outlet. Congrats on your Etsy store. This has been a wonderful resource, and I'm so appreciative of the resources you provided that got me started. 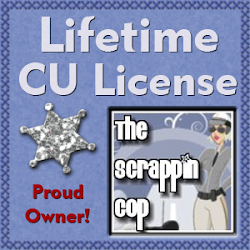 I'll NEVER be sorry that I have your CU license, and I think I'll use it till I die - there's enough in your blog to last a lifetime! Moreover, I'm most grateful I got to meet you, and be your friend. If you ever go back to scrapping and want any of my products, just let me know! It's been ages since I've been here but I had previously gathered you'd changed direction - as we do. I got into making things out of paper with my cutting machine and haven't scrapped in a while. I'll get back to it. I never bought a commercial licence but did give a little donation at one stage. It was fun coming to see what you'd created. Personally, I don't know how you fit so much in but the main thing is that you are enjoying your life. Have a good one! I really appreciate you leaving all your things up. I lost my last laptop, and am so glad to be able to get your stuff again. You have almost 500 commercial use things to download!!! You are awesome, thanks so much!!! Sorry you got trolled. You have several free things that I think would be fun to have in my toolbox and I'm sorry some of the links have failed to them, but happily DLing the ones that work. I hope once you hit retirement, you'll repost those that clinked into the internet byway. Until then, enjoy your jewelry making endeavors! I certainly enjoy mine. Deb, thank you so much for leaving the site up. BooHissssss to the person who purchased a license not understanding that what was already available was way more than the cost of the license. I don't think that i've downloaded half the available things, and i think i've gotten my money's worth and i don't even create things to sell or giveaway anymore. But when i'm looking for something that i think no one's created, here's where i look. btw, your still active creativity shows in the samples of jewelry i see on your home page. Lovely work. Keep on doing what you're doing. Also, it's tough to be a police officer at anytime these days, often damned if you do and damned if you don't. I appreciate the service of dedicated-to-public-safety officers, and understand that it's hard to stand in the wind, but please, keep doing it, keeping all of us, regardless of how we look or who we love, safe. I appreciate it and you. Furthermore, as mom of a 25yr old who is STILLLLLL living at home, i appreciate that you may not have time to just sit around and make stuff for us, lol. You're one of my heroes. thank you.